Even with the slow reduction in the feed in tariff (FITs) over the last few years, buying solar panels remains an excellent investment – both in terms of reducing your reliance upon buying energy from utility corporations, thereby reducing your household bills and creating a very long term (index linked) income from the relevant UK tariff. There is a large amount of manufacturers to choose from for the panels themselves, together with many other companies that build the components such as roof rails, inverters, switches etc. etc. Solar PV installations are generally priced according to their maximum potential power generation, this is shown as the kWp (kilowatt peak) and denotes the amount of kilowatt hours of electricity the panels could generate per year (4.0kWp = 4,000 watts per year). It does not take a mathematical genius to figure out that if you use 4,000 watts from your solar panels and you would have paid an average of £00:15 per kWh to buy that electricity from your supplier, then you would have saved £600 on the cost of your bills over the first year (without counting the FIT’s income) by using Solar Power. The bigger the output you want, the more panels you need & the more powerful inverter (transformer) you will require to handle the load and so, as you would expect, the costs increase. However, the cost of Solar Panels has dropped drastically over the last few years, with some installations that would have cost over £15,000 in 2010, now cost less than £6,000 in 2015. This information is for your convenience only & should be used to give yourself a rough idea of what costs are involved - they are not an offer to buy or sell. The amount of free roof space required to fit the system will depend upon the size & output of the individual panels installed. 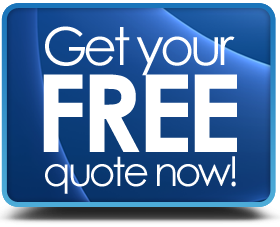 Always look around for written quotes from a number of different installers - use installers that have recognised trade accreditation from The Micro-generation Certification Scheme (MCS). 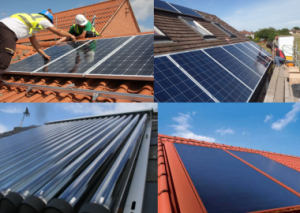 Find out more about the cost of Solar Panels & Renewable Energy for your home.